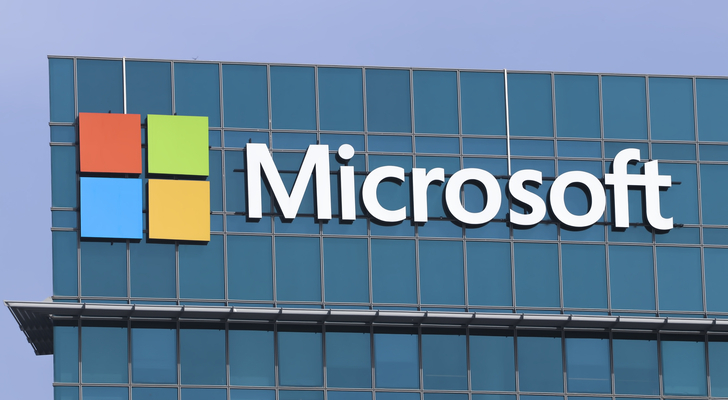 Late last month, Microsoft Corporation (NASDAQ:MSFT) announced a major reorganization that included, among other things, a stepped-up focus on Internet of Things (IoT). Shortly after that, the company announced it was committing $5 billion to the research and developing of IoT technologies — news that MSFT stock owners cheered again, even without knowing exactly what that meant at the time. By and large, it’s still not exactly clear what Microsoft aims to “do” as it dives deeper into the Internet of Things fray. Maybe it won’t be clear until the restructuring is completed a few months from now. A closer look at some developments in the meantime, though, and a refreshed look at some things done even prior to the recent announcements, may offer a glimpse of where this is all going. The software giant is reorganizing into two key divisions: Experiences & Devices and Cloud + AI. Perhaps even more telling, CEO Satya Nadella is doing away with a dedicated Windows unit and saying goodbye to executive Terry Myerson who had been largely in charge of the operating system’s development and success for more than 20 years. It is a sign of the times. The advent of mobile devices — and moreover, what they can do — has made computers much less necessary. MSFT stock owners know all too well that Windows isn’t exactly at home in the mobile world. Its Windows phones were, for all intents and purposes, a flop. But what exactly is Microsoft expecting from a $5-billion investment that it doesn’t already have? To be fair, it’s not as if the company isn’t already waist-deep in IoT waters. Computer Business Review‘s Ed Targett makes the valid point that Nadella and his team have already delivered plenty of practical, revenue-bearing goods to the market. Case in point: The world’s largest food-packaging outfit, Tetra Pak. Tetra Pak has tapped Microsoft’s know-how to predict when its equipment will soon need maintenance, rather than being forced to deal with downtime after the need for the repairs materializes. There’s a new common element to the Internet of Things deal-making and partnering we’ve seen just since Microsoft publicly committed to $5 billion worth of IoT spending, however. The timing may or may not have been coincidental, but it certainly was fortuitous. A week after Nadella established a $5-billion budget to wade deeper into the Internet of Things, it announced a strategic partnership with C3 IoT. C3 IoT is a company, but it’s also a platform — a platform-as-a-service product “for the rapid design, development, and operation of big data, AI, and IoT software applications.” In other words, it’s a way for companies to turn an idea into actual useful products or tools, even if that organization doesn’t exactly have an army of experienced IoT programmers. As an example for the non-techie, Italy’s electric utility company Enel was able to use C3 IoT to determine if and when electricity was being “stolen” by circumventing usage meters. The amount of energy saved by spotting such fraud using C3 IoT’s platform grew 70%. Its new relationship with Microsoft means Electric Imp’s clients can use Azure as the backbone for its cloud-based tools. The common element between the two? C3 IoT and Electric Imp make developing Internet of Things technologies relatively simple for others. They’re also doing the heavy lifting in terms of selling Microsoft’s IoT wares. Don’t misread the message. None of this is to suggest that Microsoft’s only IoT intent is to offload all product development work to partners rather than innovate its own products and services. So far though, that’s what we’ve seen, lending credence to the idea Forrester Research’s Merritt Maxim offered earlier this month — that at least some of the $5-billion allocation could be used for acquisitions. Creative or compelling? No, this direction — if this is indeed the direction — is neither. Plus, Nadalla will still have to contend with Amazon.com, Inc. (NASDAQ:AMZN) on the cloud front of the IoT market, while fending off Alibaba Group Holding Ltd (NYSE:BABA) on the hardware/product front. Alibaba is a Chinese company that’s increasingly eyeing opportunities in the west. It’s a savvy direction, though, and it aligns with a subtle shift MSFT stock owners have seen with Nadella at the helm. That is, the reliable revenue is in selling pickaxes and shovels rather than actually mining for gold. Article printed from InvestorPlace Media, https://investorplace.com/2018/04/microsoft-may-have-dropped-subtle-hints-of-future-iot-plans/.